This site got a new front banner and a new color schemes. Site design has already improved a lot, just left a couple little things that needs to be done. 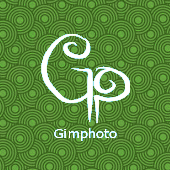 Gimphoto package progress nicely, already fix many errors and testing it under Windows 2000 and Windows XP SP2, seems work nicely. I still must write Features page and upload some images for Screenshots section of this sites, after that pages finished, Gimphoto will be release.